There is no way around it. If you’re going to be in business, you’re going to find yourself face-to-face with some type of dispute at some point in time. It may be a disagreement with a client, an employee, a supplier, or a business partner, but it will happen. And no matter who it’s with, the way you handle it may have a huge impact on your small business success. Financially, if the dispute ends up in a lawsuit being filed, you run the risk of shelling out a lot of money in legal fees and court costs. That amount could go even higher if the court or jury rules against you and orders you to pay some sort of fine or settlement. Having any type of falling out in business can do a lot of damage to your business name as well. After all, people are generally more willing to share when they feel they’ve been wronged versus when they’ve been righted. And with social media at their fingertips, they have a ready and accessible audience, potentially causing you a lot of harm. 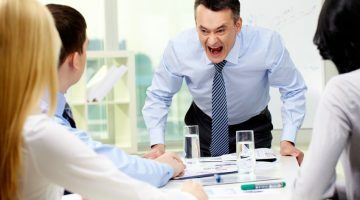 Responding to a dispute the moment it happens, when your emotions are the highest and the hottest, can often make matters worse. You’re more likely to say something you’ll regret later, something that could stoke the fire versus putting it out. That’s why it is so important to give yourself time to calm down and let whatever happened settle in. If you can, give it a day or two for the initial shock to wear off before figuring out the best way to respond. And if you have to respond more quickly, some breathing exercises may help you relax enough to provide a professional, less impulsive response. 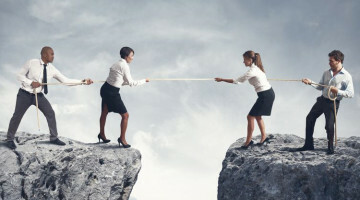 Once you’re over that initial, “What the heck?” feeling, the next step in creating a winning solution to a business-based dispute is to try to see things from the other person’s point of view. Once you remove your thoughts and feelings from the equation, you might just realize that they have a valid reason for feeling the way they do. Ask yourself whether you would feel the same if you were in their shoes and try to see why they may feel as if you’ve wronged them, even if that was never your intention. This can help you come to a more amicable solution, as clearly understanding their side shows that you have empathy for them and their position, which can go a long way. When I ordered a new desk from Sauder, it arrived with a huge crack down the top and back. I was not happy to say the least because it had taken me two years to finally be able to afford this new piece of work furniture and I wanted it like yesterday. However, when I called the company, they shipped me new pieces which arrived within two days. If they had made me go through a long and drawn out claim process or wait another week or so before I got my new pieces shipped to me, it wouldn’t have been a pretty picture. Instead, I am a customer for life thanks to the way they quickly took care of my problem. The longer you wait to address an issue, the longer the other side has to feed bad feelings toward you, making them stronger and more resistant to any possible solution you may provide. Therefore, focus on finding a resolution to the issue as quickly as possible and you could salvage the relationship despite whatever the problem was. The best solutions are ones in which both sides win. Make that your goal, and even if you don’t both walk away 100 percent happy, at least you’ll each know that neither of you lost everything either. Often this starts with finding common ground and seeing what you agree upon. You can also both state what you would like to see as a resolution and see if there is any way to meet halfway. For instance, if you have a client who feels he should get a full $50 refund on a product or service and you don’t think he should get one at all, perhaps giving him half back would allow you to keep him as a customer without hurting your reputation or feeling as if you’re the only one who gave in. In the event that you’ve tried the previous four steps and you’re still not able to resolve the dispute, then you might have to seek the services of outside help. This may mean contacting a local negotiator or someone that does conflict resolution, or it may require that you connect with an attorney and seek legal counsel to learn your rights and responsibilities in your particular situation. 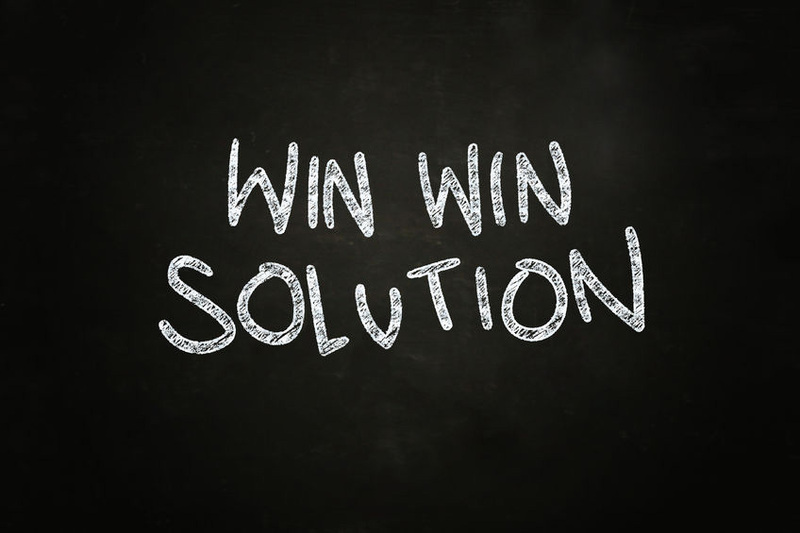 Not every situation can be resolved amicably, but there is a higher probability of this happening if you approach issues calmly, empathetically, quickly, and with the goal of both sides winning. 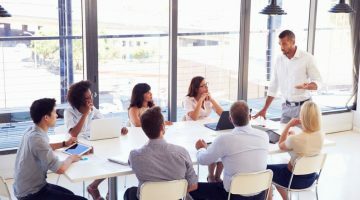 What other tips do you have to provide for dealing with business disputes effectively? Feel free to share them below!